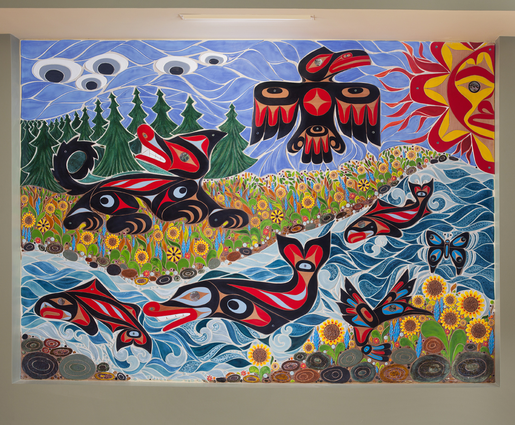 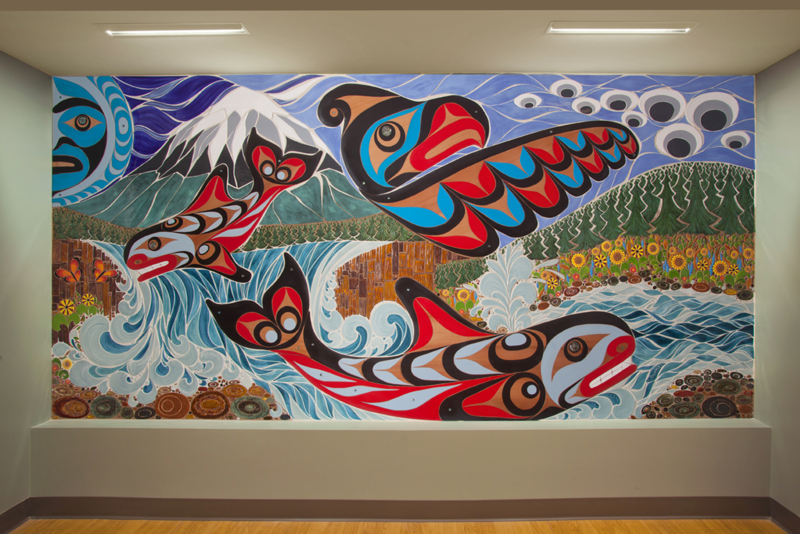 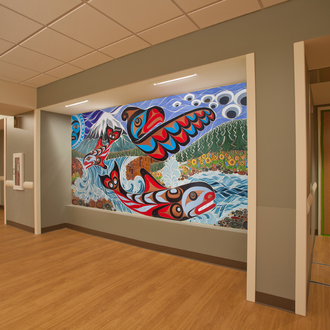 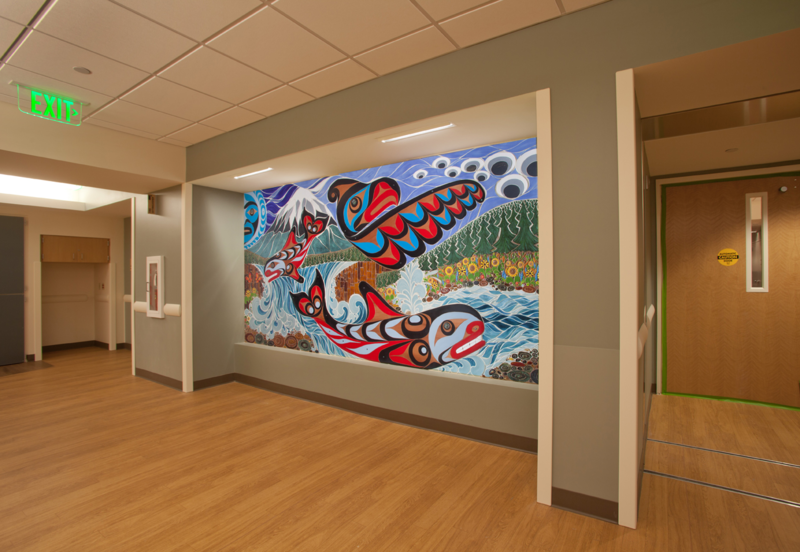 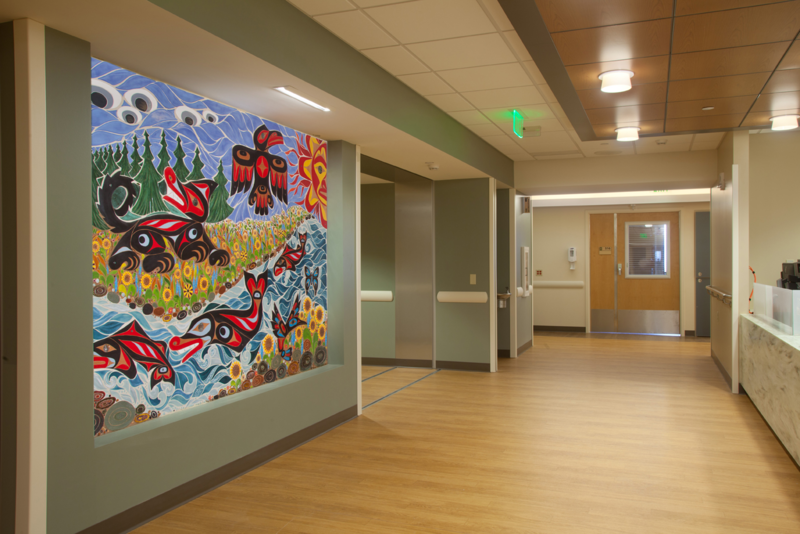 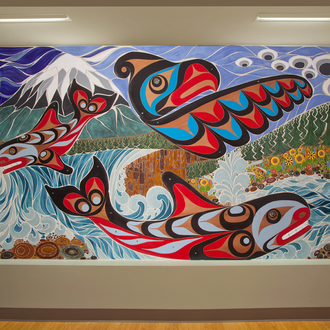 Alex collaborated with accomplished tile mosaic artist Toms Royal, they created two 6’ x 12’ mixed-media murals for the newly constructed Rainier Tower at the Tacoma General Hospital. 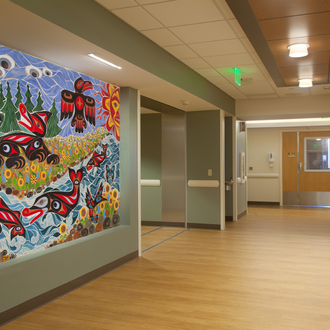 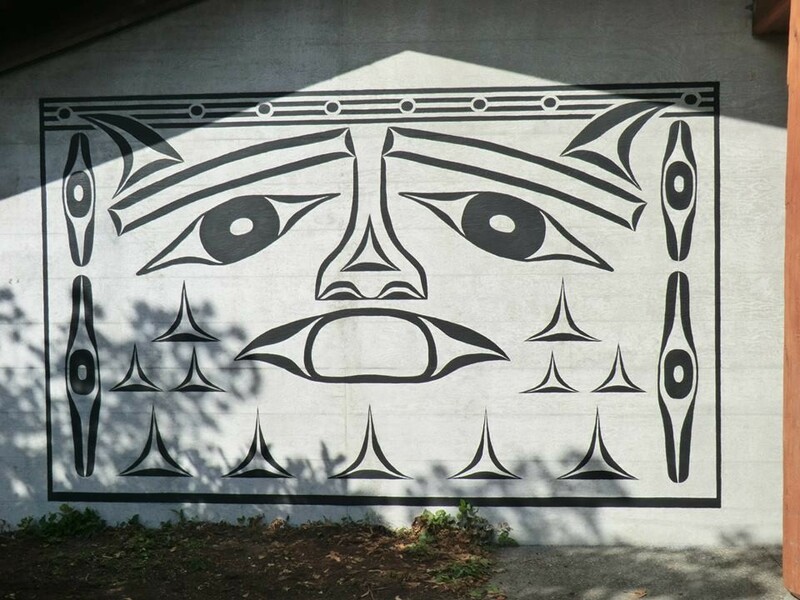 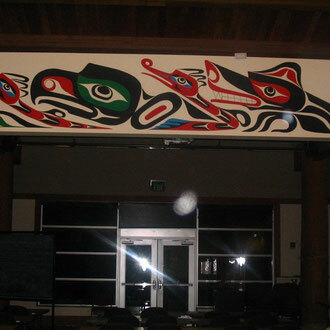 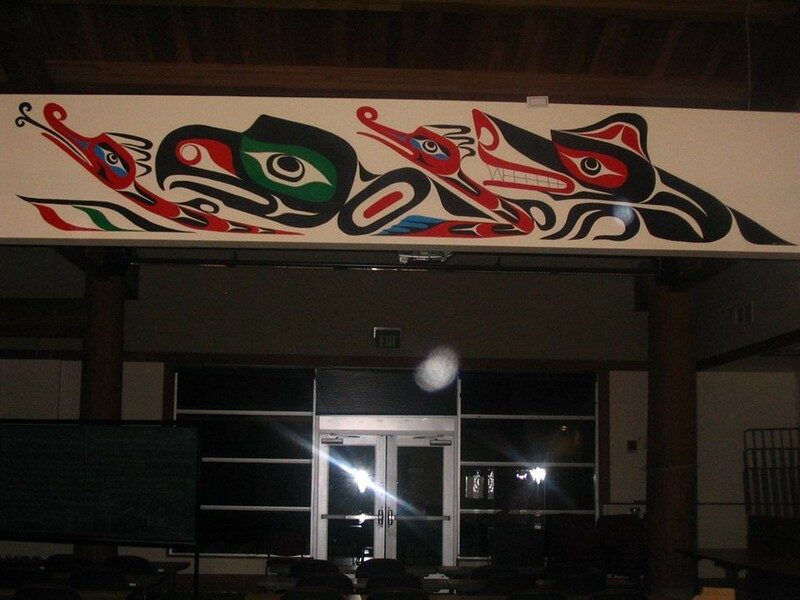 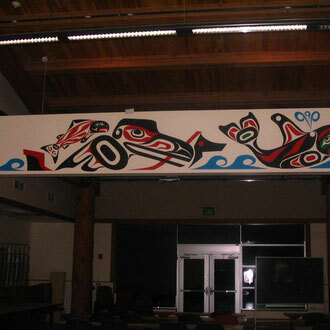 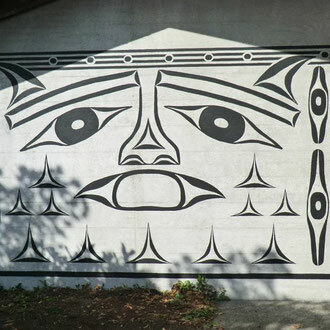 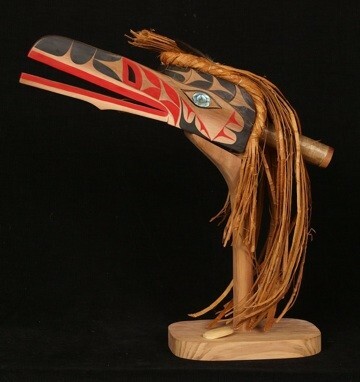 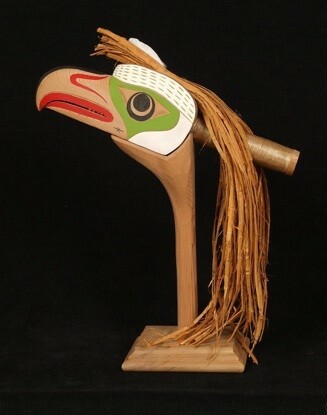 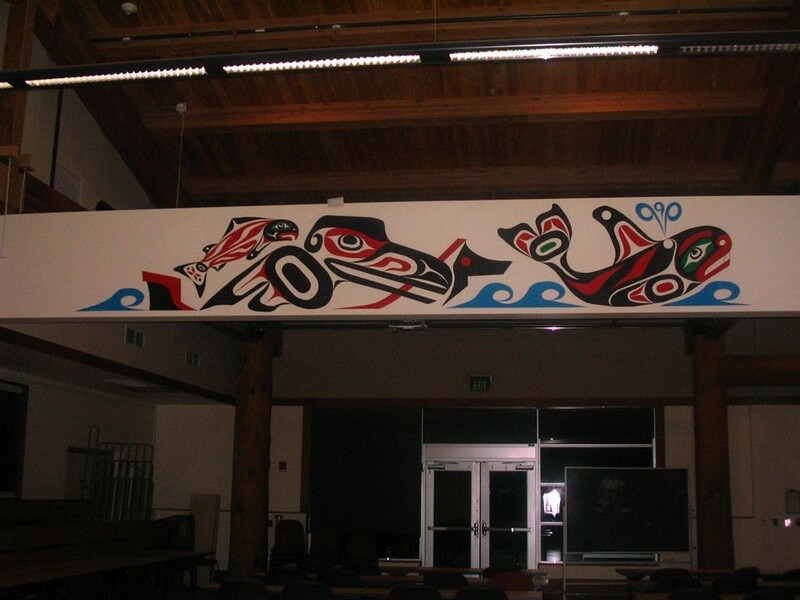 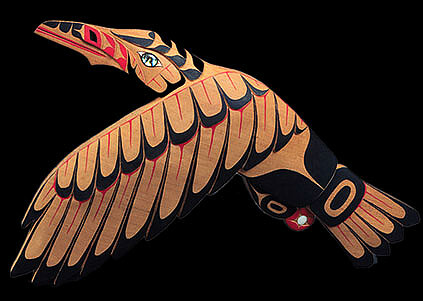 The murals capture the scenic beauty of Mount Rainier and tell Indigenous legends about our local wildlife. 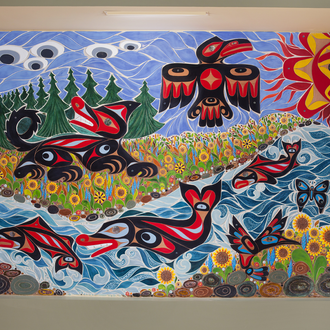 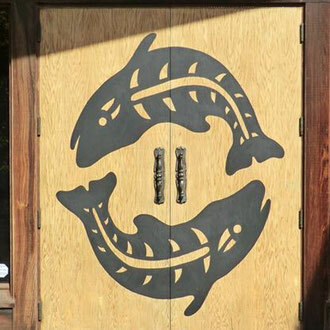 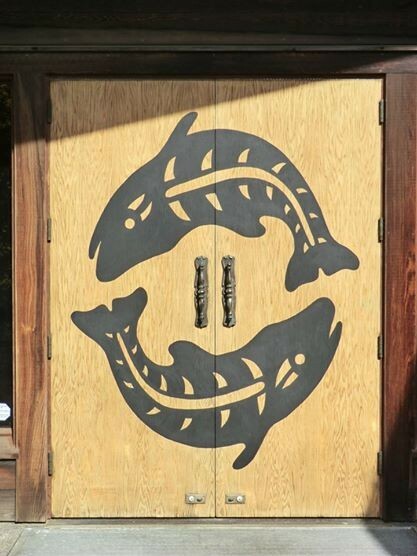 Toms created the background textures using glazed ceramic tiles and Alex carved cedar plaques of the animal figures using local regional form-line styles.